There are some people who struggle to find the words that describe themselves or their work. But for someone like Abdul Abasi, the words come to him with such ease it’s as though he’s done all of this before. And that’s because he has. 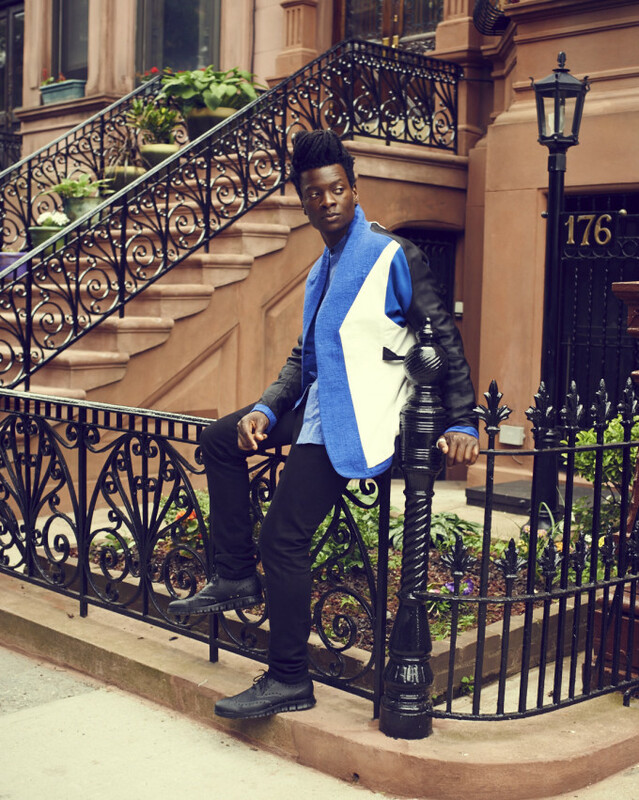 Abasi’s résumé is as impressive as it gets for a young 30-something with a freshly-minted brand, Abasi Rosborough, which has generated buzz from New York to Paris Fashion Week in its young year of life. But with Abasi&apos;s reputation preceding him from talent exhibited in past work, it&apos;s as though Abasi Rosborough has already enjoyed a long and prosperous life. There are few designers in the industry that muster up the passion and attentiveness while still bringing innovation and evolution to the menswear industry. Abasi can because he’s been there, done that, and doesn’t plan on stopping anytime soon. We sat down with Abasi to discuss how his military background prepared him for design school, how his experience with Engineered Garments shaped his work ethic, and his meta approach to brand evolution in the future that doesn’t really exist. I want to start off by going a little into your background because it’s actually very interesting. You joined the U.S. Military after graduating high school, and after that you went on to study design at F.I.T. Those are two pretty different experiences, but were they alike in any way? Did serving in the military help mold how you design at all? I mean, essentially, in my formative years, I wanted to be an artist. I’d always taken drawing and design classes in high school and that’s what I wanted to do. And when I graduated, I was like, “Okay, obviously I can’t afford to go to college, so what are my options?” And at that point, I looked into the military with the GI Bill. And initially, I was kind of like, “I’ll just do this for a few years and get out,” but it was actually a great, interesting experience. I went all around the world, met totally different people I probably wouldn’t have been in contact with, and it kind of gave me a more holistic worldview. A lot of Americans never leave their home area, so to be thrust into international waters and doing things there, I was working with German soldiers, Polish, Italian: it just gave me a new perspective. So, needless to say, I kind of had the turning point when I was in Europe and I realized that my level of art and design could be fused with everyday wear. So as soon as I made that connection, I just applied to F.I.T., which had the only menswear design program at the time. I applied to one school and went to one interview. I got in and I kind of started my journey. As far as similarities between fashion school and the military; in fashion school, people may think we’re sitting making skirts or whatever but it’s extremely intense. A lot of sleepless nights. A lot of stress. A lot of tight deadlines for multiple projects. In that way, I would say it’s very demanding like the military. But at the end of the day; it’s making clothing. We don’t need any more clothes on this earth. I’m not going to say it’s a privilege thing because there is an emotional response that people get, there are feelings and emotions that are tied to clothing that can’t really be replicated by any other thing. I think that’s the function primarily. 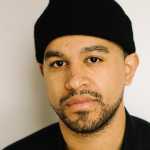 And what Abasi Rosborough is trying to do is fuse that emotional with the functional sensibility like a product that actually works, does what it’s supposed to do, and enhances people’s lives. You&apos;ve talked about how AR&apos;s not made with just one-off, individual pieces, but it’s meant to be worn with things and that’s how you value the clothing. You don’t just see it as a piece by itself, you see the jacket worn with the BDU shirt or layered with different possibilities. It adds a different element how you wear it each time. You’re kind of a Renaissance Man. Your background in the fashion industry kind of covers all bases. You’ve worked with Coogi, Patrik Ervell. 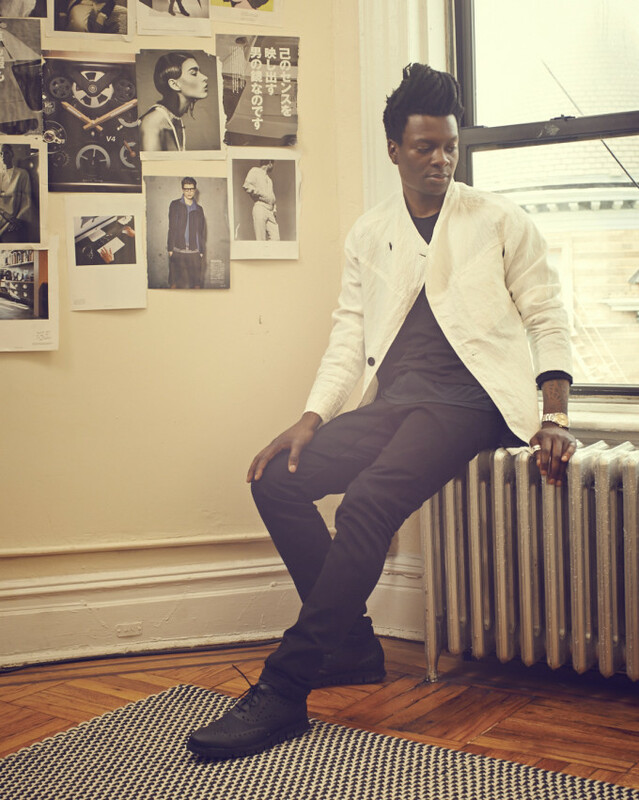 You’ve designed for Engineered Garments and obviously, Abasi Rosborough. You were the store manager for Nepenthes. You’ve even done runway and lookbook modeling. Has that type of exposure shaped into a single mind frame you take with each role, or do you feel like you have to wear different hats for different roles, and your outlook as you’re doing them is completely different? Ha, you know it’s funny because none of this was conscience or intentional. I think someone once said, “Every person has seven different careers throughout their lifetime…” or something. For me, going out of school, I was just trying to find a way and I applied to different places. Some of them were really mass market. When you come out of design school, you have grand aspirations of starting your own line or working with a really cool, fresh, young designer. But most of the time you really that those young, up-and-coming designers have no money to actually pay you or even hire, so you go to the big dogs and that work is totally mind-numbing. So, I was blessed to find Engineered Garments and, you know, Daiki [Suzuki] and the team really took me under their wing and I learned so much. Engineered Garments and Nepenthes have been around for decades, and because of the nature of what they do, it’s not trend-oriented or mass market so the team was never humongous. Like our team was never as big as a Calvin Klein team or an H&M team. Everybody pretty much does several things. I was just kind of there and whatever was needed, I’d do it. I never saw it as a matter of wearing different hats or switching gears, I thought it was congruent and sort of part of the process. One of the biggest things I learned from Daiki was to just be patient. I think a lot of people can’t wait to show people stuff or can’t wait to get out there and proclaim that they’re the next best thing, but with Daiki, I learned that it’s about nurturing talents, it’s about understanding and sitting back and learning from people that have done it before you. So that’s why I kind of stayed with that and, even when I got sent down to the store, initially I was like, “I don’t know if this makes sense.” But he pulled me aside and said, “You know what? You will learn the most about design actually working in the store because you’ll talk to customers, you’ll see what they gravitate towards, you’ll see how things fit, how the customer shops, and what they look at.” And when you’re in a design office or sitting at your table sketching, you’re in a bubble. These are all things you are imagining or you’re relying on trends or research. But down at the store, you’re at ground zero. You see what’s going on right now. So it was really a blessing in disguise to work at the store. I think any time you work with a smaller company, you will dip your hands in a lot of different pots. You should embrace it and look at it as a blessing; even if you don’t think it directly impacts what you want to do finally, I think that if you really pay attention to it, down the road you’ll realize all these little experiences you’ve had will benefit you. I can see how some of those experiences shaped some of the approach you take with designs. Thank you. And I feel like it’s a blessing because when I eventually open a store for AR, I’ve already run a store before and I have an idea. And when we shoot lookbooks, I’ve been in front of the camera, so now when I’m behind the camera I know what I’m looking for. It’s like all these little breadcrumbs kind of trace back your steps and you realize, "Wow, it was actually really good that I did this." Even though I wanted to be a designer and I was in the shop, I think Steve Jobs said it best that you can only connect the dots when you look backwards. When you’re looking forward, you don’t know why you’re at certain places or why you’re doing these little things. But when you look back, you realize all of these little detours that you’ve taken actually brought you to the point that you’re at, at that moment. You’re an extremely detail-oriented guy. I think people see this with how you dress and how put-together you always look. People can also tell with how you and Greg [Rosborough] talk about the design process for AR collections. How do you feel your particular attention to detail is potentially different from other designers? How does the brand become recognizable simply by those details? With all this dialogue, there’s always tension. We both come from separate places. We have a mutual respect for one another, but we don’t see eye to eye on everything. We always have to fight for every detail and every design choice we make is a battle. Whether I’m defending myself or he’s defending himself, at the end, the product is always better than the sum of its parts. That’s how we justify every single thing that we do. And when you come from that position of justification, when you know that, that detail is there, we both made our argument upon it, looked at the past and the future and settled on that detail, we believe that detail is the best at the moment. In the future, we don’t want it to be the end all be all, like it’s the only jacket that will ever be. We’re saying that, for now, it’s the best jacket we’ve come up with… until we discover a new way of creating it and taking it to the next level. On the flight over [to Paris], Greg was reading this magazine called The Atlantic and it had an article discussing creative duos. I guess in Western culture everyone is always about individuals, but some of the greatest bands, companies, and partnerships in history are duos. Specifically, they mentioned The Beatles and how Paul McCartney and John Lennon were polar opposites, but together made that music and couldn’t have done it without either of them. Yeah, there’s been countless stories about them butting heads on songs, even albums that, in terms of coming up with the concept and trying to nail down how each song fits into the concept. But you can’t name a bad album they created. Even Sgt. Pepper’s, as wild of a concept as it was, each song on it was constructed based on criticism or tension or back and forth between Paul and John. Yeah, and it’s so funny because we never even thought of it that way, but the article mentioned those two specifically and then had another page of countless people that you would never know that had somebody in the background that was challenging them. I think that, as human beings, two heads are better than one. I may have a good idea, and if Greg has a good idea, we put them together to form a great idea. It’s all about challenging, it’s all about bouncing ideas off of each other and getting a different perspective. And when I say “fight,” it’s a mutual respect. It’s almost like a debate. I’m not going to say it gets heated, but we’re both passionate about what we believe in. We both realize that if we take emotion out of it, it can actually be a great idea. With Greg and I, we both came up in different upbringings and cultures, but we have a common shared sensibility when it comes to design and art and creation, so we can always bounce ideas and the result is always stronger. I know you’ve touched on it a little, but have you and Greg prepared for how you plan to handle the brand’s evolution in the near future? I know you are a proponent of “the future is now” mantra, but I would think you are still thinking about how the brand is progressing day by day. Absolutely, and I think that if you’re not progressing, you’re dying. For us, it’s always about progression. And from a sales perspective, it’s always looking at analytics: what was successful, what was not. But from a brand evolution standpoint, I think the biggest thing that we’re trying to do now is bring awareness to our brand, because we’re not the type of brand that every six months is just going to completely flip the script. 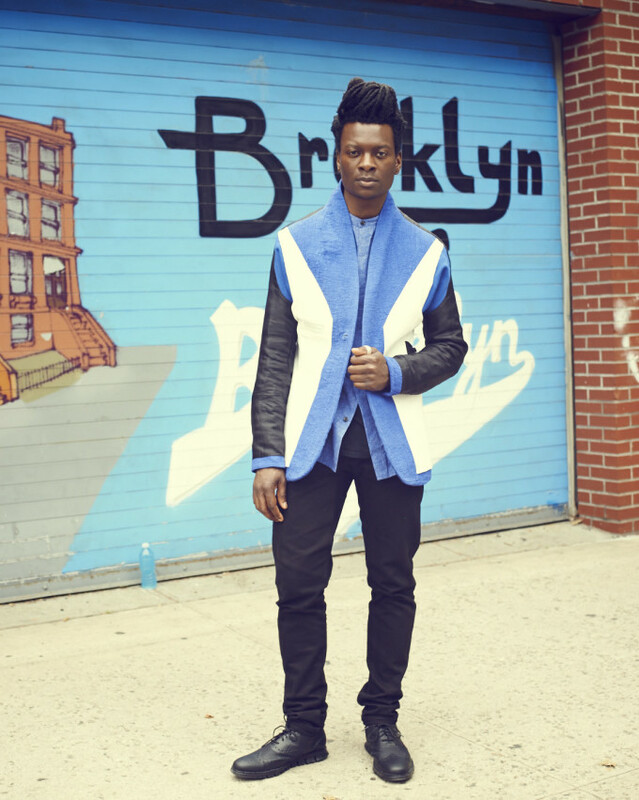 We’re not going to go from heritage to goth to street to color. We don’t float like that. It’s more of a slow iteration. So right now, we have our eyes and ears open for everything, and we’re trying to embrace social media so the awareness that we’re doing is more widespread. I think with more awareness comes more opportunities to share what we’re doing, and hopefully influence the industry in a different way. And another thing, you mentioned those brands that are popping up and are hitting trends and that’s not necessarily a bad thing, but whenever your clothing or anything is based on trend, once it’s out, it’s out. I think one thing we’re trying to do is transcend trends and make product that is timeless. I think that is very difficult because, in design, it’s the antithesis to fashion. Fashion changes for no reason. You can buy and buy and buy. But when you create a timeless design, you almost put yourself out of business. Because if you create the perfect pant, your customer no longer has to buy your pants. So essentially, what we’re trying to do is put ourselves out of business by creating garments that are so well-designed that you don’t really need to buy another one because this is the jacket you’re going to have for the next 25 years. This is the pant you’re going to have for the next 15 years.